When visiting the southern part of France, the cities of Nice, Monaco, Cannes, Avignon and Provence are popular choices on traveler itineraries. 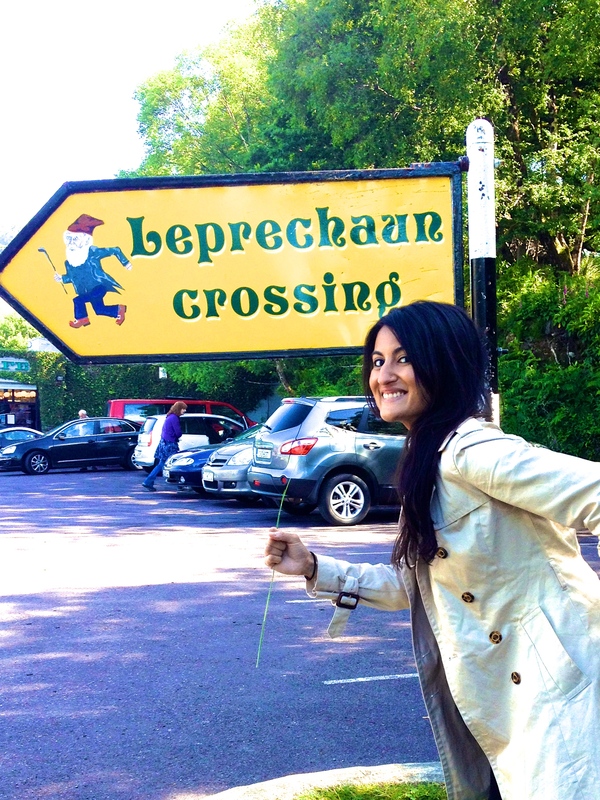 However, be sure to add some of these lesser known places to your travel plans. While the French rail and bus system can get travelers just about anywhere, the best way to explore the list below efficiently is by renting a car. Travelers who are able to drive manual / stick shift cars will save money on their car rental! 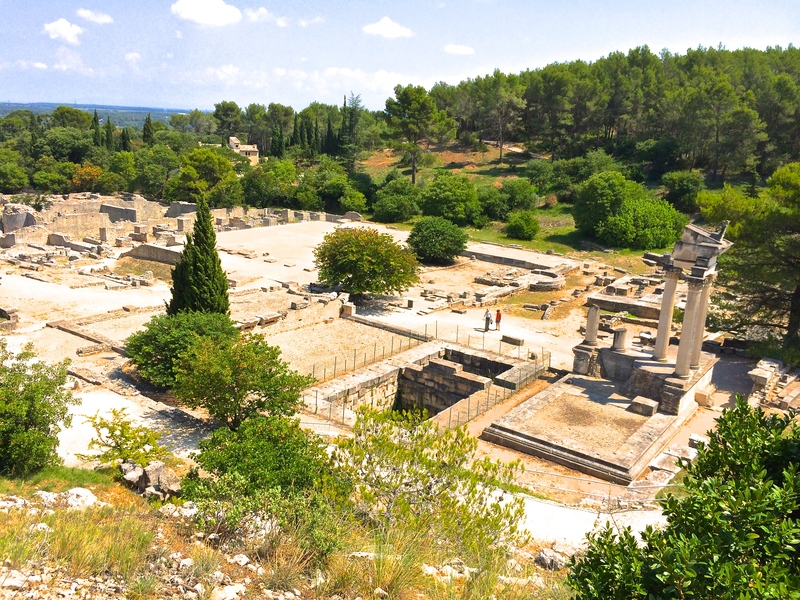 Just 12 miles south of Avignon lies the ancient town of Glanum. This fortified town was founded in the 6th century BCE and was then destroyed by the Alamanni (a confederation of German tribes) in 260 AD. 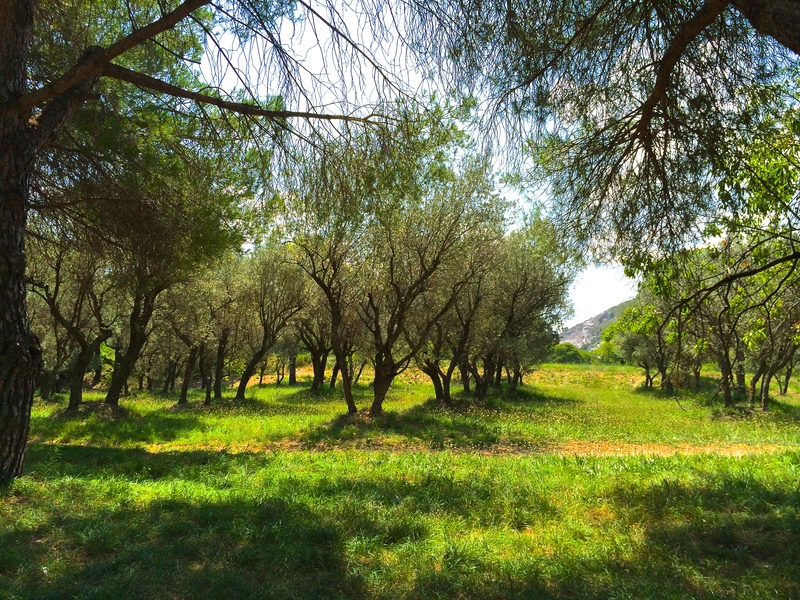 The people of Glanum abandoned the area and moved north to found what became the present day town of Saint-Rémy-de-Provence. Saint-Rémy-de-Provence is well known as being the location in which Van Gogh spent the last years of his life. 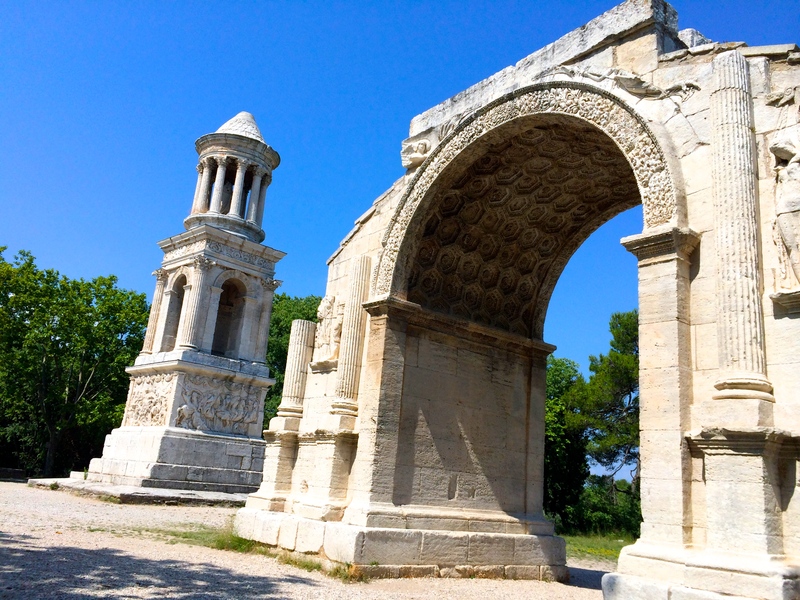 This triumphal arch stood outside the northern gate of Glanum and was a symbol of Roman power. It was built during the reign of Augustus Caesar in approximately 14 AD. St. Remy is a charming little town a 30 minute drive south of Avignon. 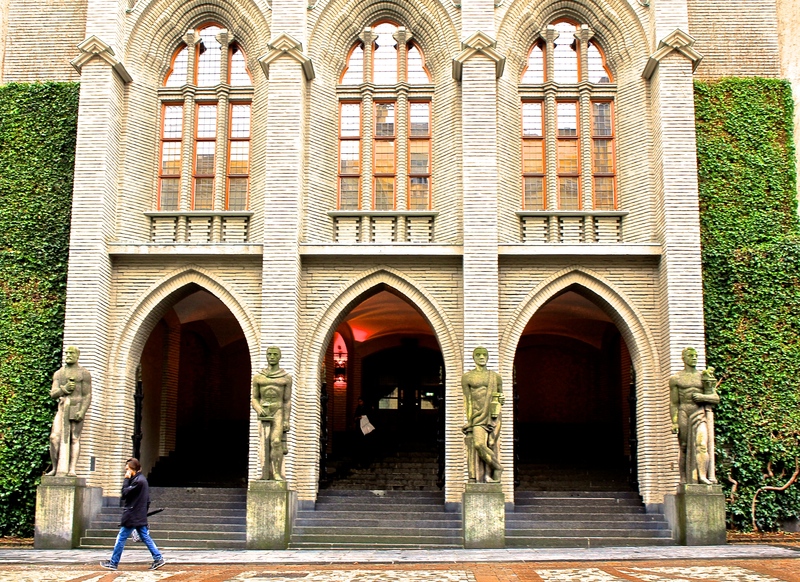 Spend a day wandering the streets, stopping into shops, and visiting St. Paul’s Asylum, where Van Gogh spent the last years of his life. 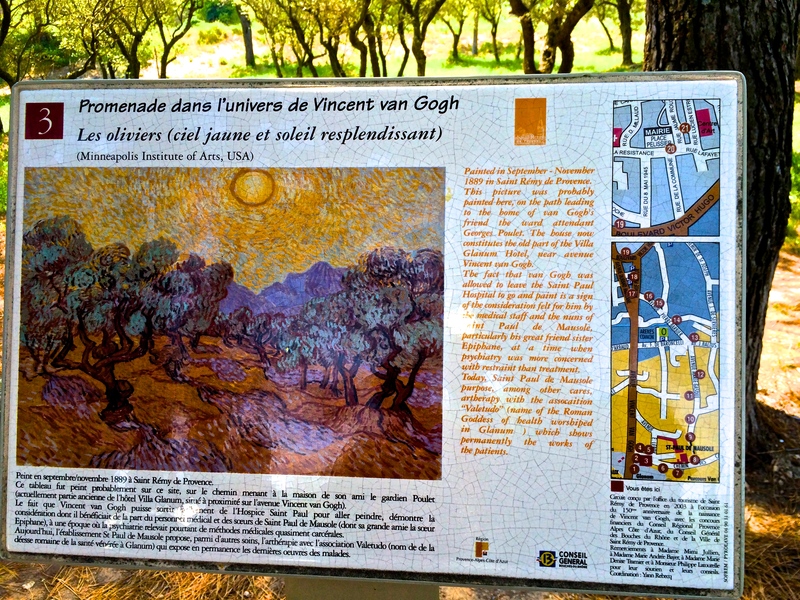 In the Van Gogh Field, located on the psychiatric hospital grounds, there are several reproductions of the painter’s work on the actual sites where he painted them. Travelers are able to see what Van Gogh saw as he painted the scene in front of him. 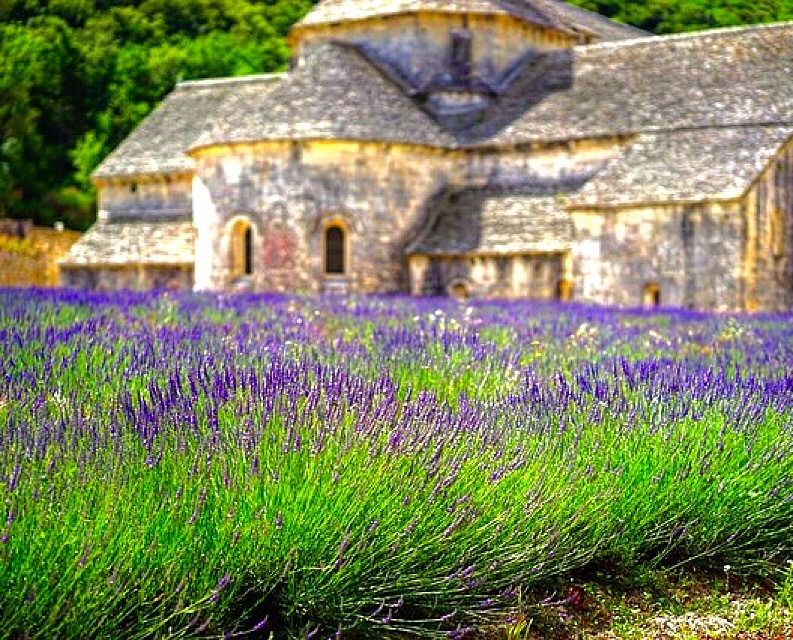 Travel about 1.5 hours east of St. Remy to visit the lavender fields near the Luberon and Sault regions. They are in bloom from June to August, which is prime tourist season for visiting this part of France. 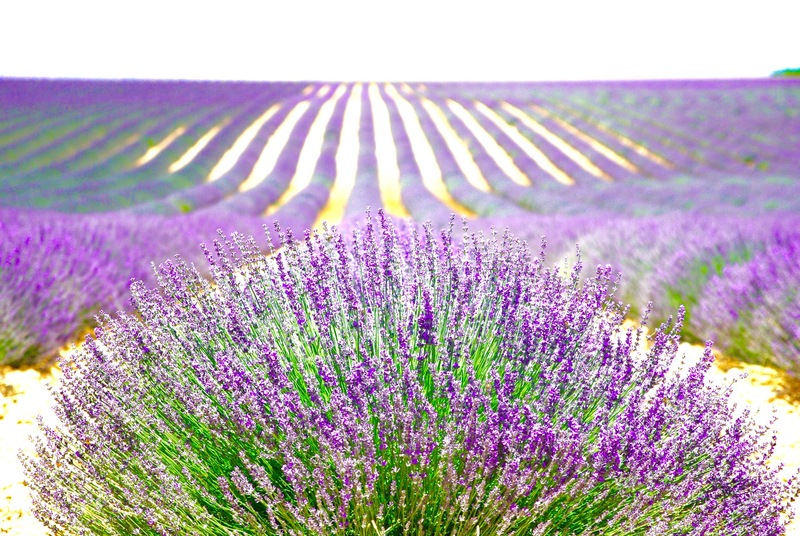 Try some of the locally made lavender honey, and bring home some lavender soap. 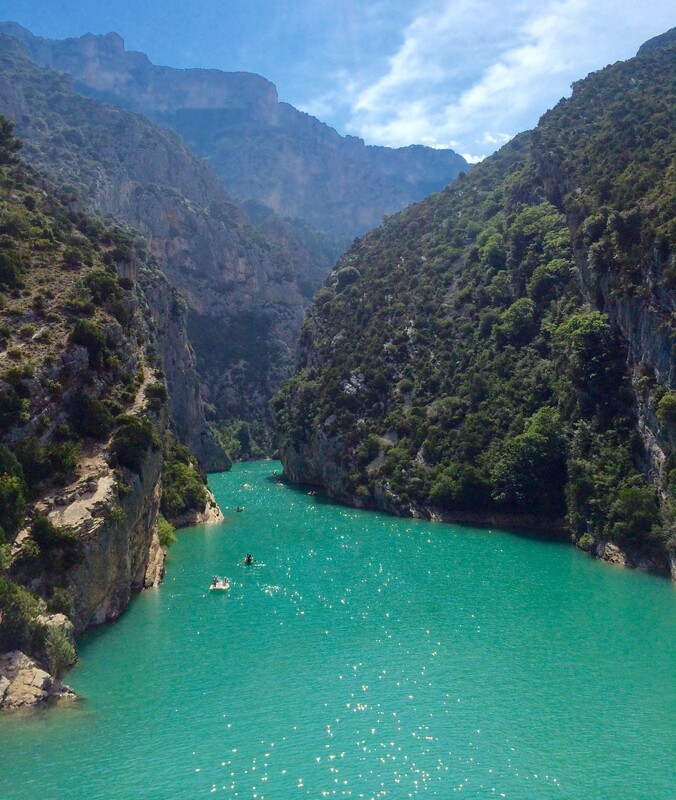 Continue further east from Luberon to visit the magnificent Gorges Du Verdon, or “Europe’s Grand Canyon.” Park your car near the kayak and paddleboat rental, and spend an hour or two exploring this site. If you have more than two people, you may want to look into pre booking a larger boat. For small groups, there is no need to make a paddleboat reservation ahead of time. 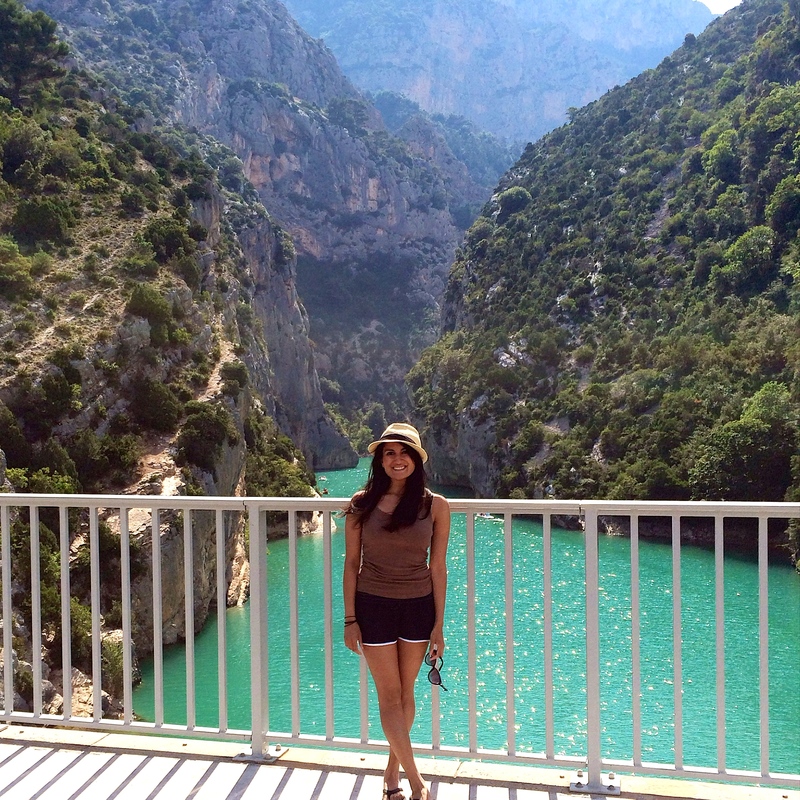 Leave Gorges du Verdon and head south towards the French Riviera. 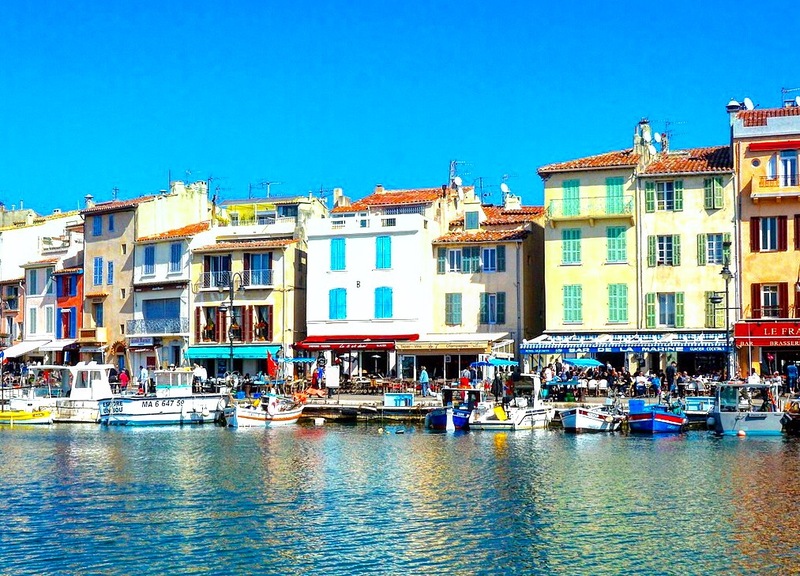 Before you get to the larger cities of Nice, Cannes, or Marseille, visit the idyllic fishing port of Cassis. 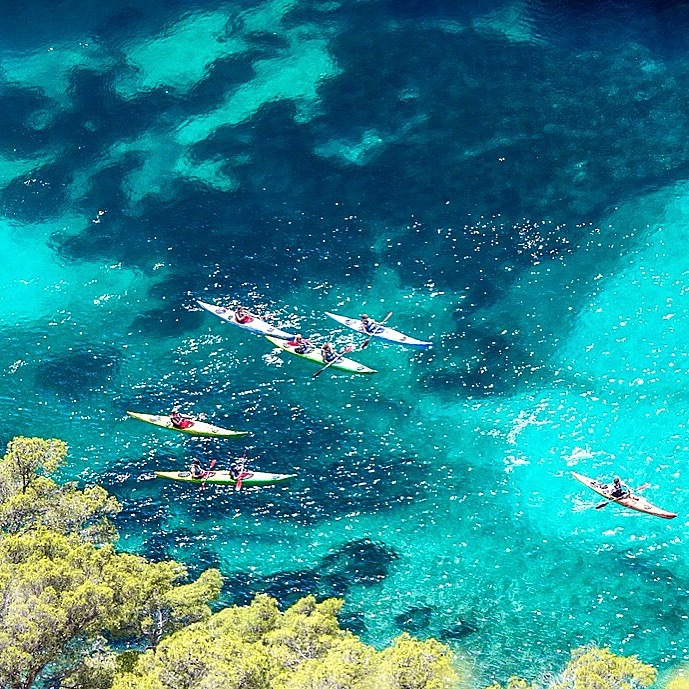 Rent a boat or kayak from Cassis and swim in the blue waters of Calanque d’en Vau. If you are up for an enduring hike, trek to the beach at En Vau (secluded but a 2 hour hike each way). The boat tours from Cassis into this area are usually not allowed to dock at the beach, so, if you want to spend time on the beach itself, you will likely need to trek there. One of Iceland’s most popular tourist attractions is the “The Golden Circle”-a must see route for travelers visiting the country. 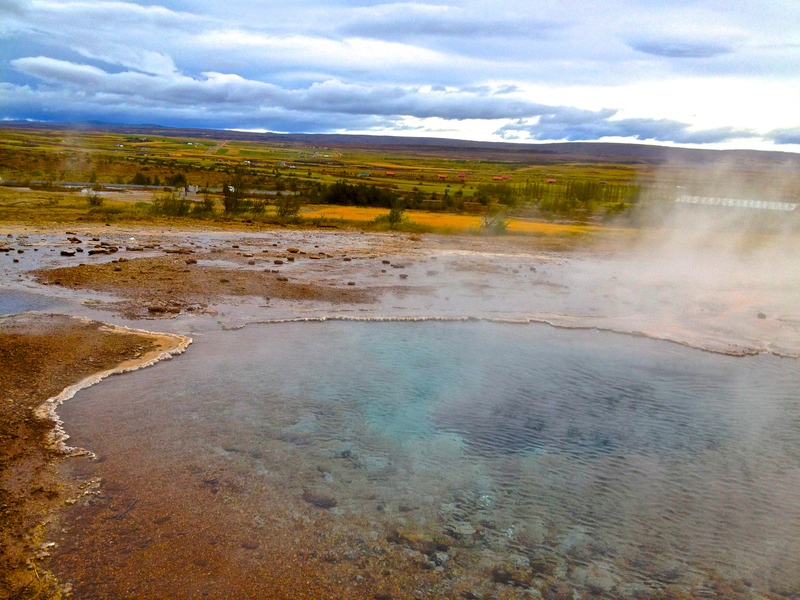 About a 300 km journey beginning and ending in the capital city of Reykjavik, a visit to the sites of the The Golden Circle can be done as a day trip from the capital. Start your journey in Thingvellir National Park, which is not only the site of Iceland’s first parliament, but also where travelers can observe the magnificent splitting of the Eurasian and North American tectonic plates. The splitting of the tectonic plates has created deep fissures in the earth. One specific fissure, called Silfra, is a crack between the North American and Eurasian continental plates, and is a popular site for snorkeling and scuba diving. Spend a few hours exploring Thingvellir National Park and then continue your journey 60 km towards the geysers at Haukadalur. 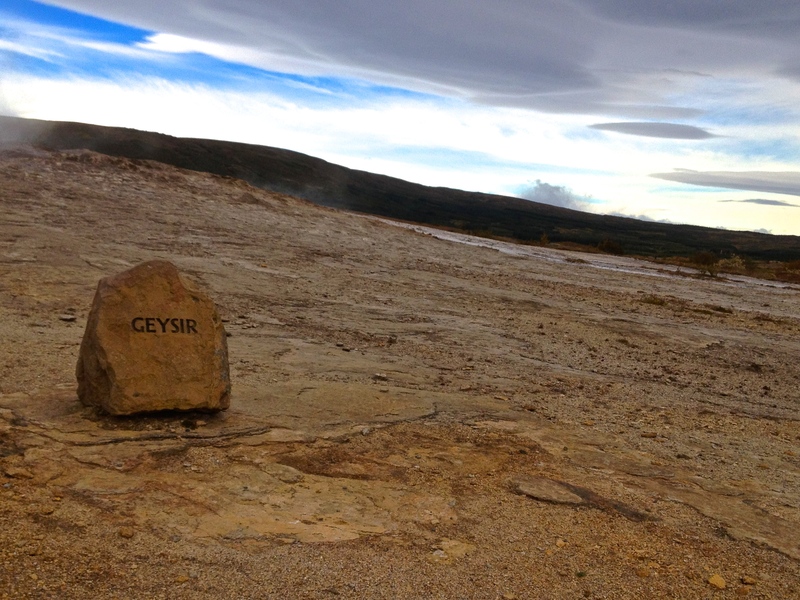 There are two famous geysers- Strokkur, which is still active, and Geysir (from which the word geyser originates), which is inactive. 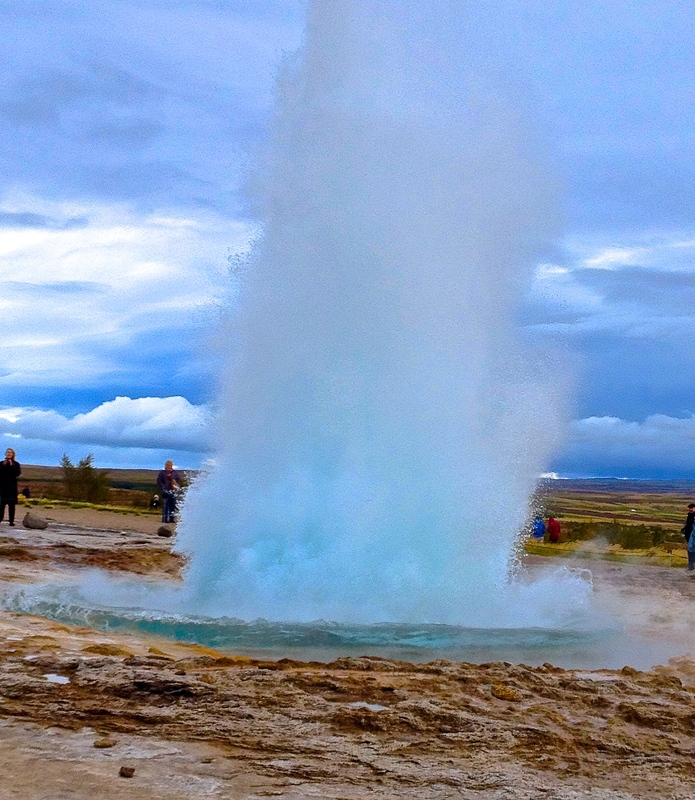 Strokkur erupts about once every ten minutes, so you won’t have to wait long to observe this natural phenomenon. 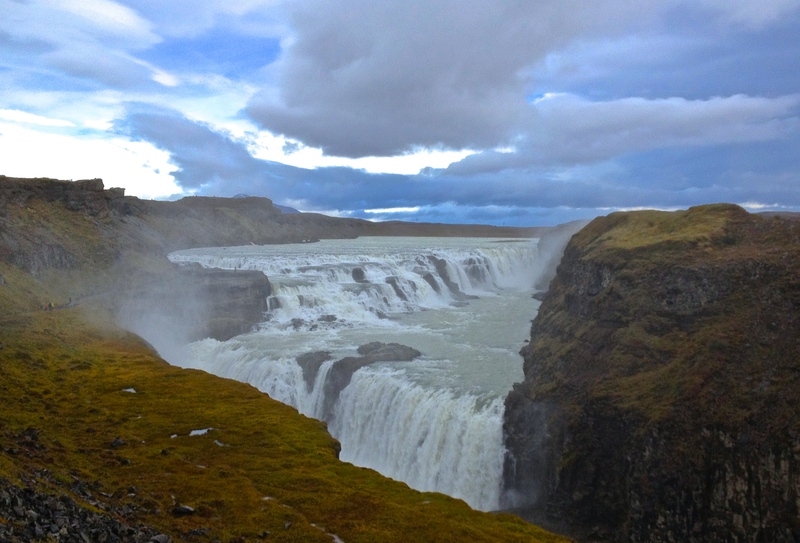 Finally, drive to the last stop in the Golden Circle route-powerful and magnificent Gullfoss. Gullfoss is a breathtaking waterfall created by the Hvítá (White) river, which is fed by Iceland´s second biggest glacier (Langjökull). Spend another hour here before making your way back to Reykjavik. 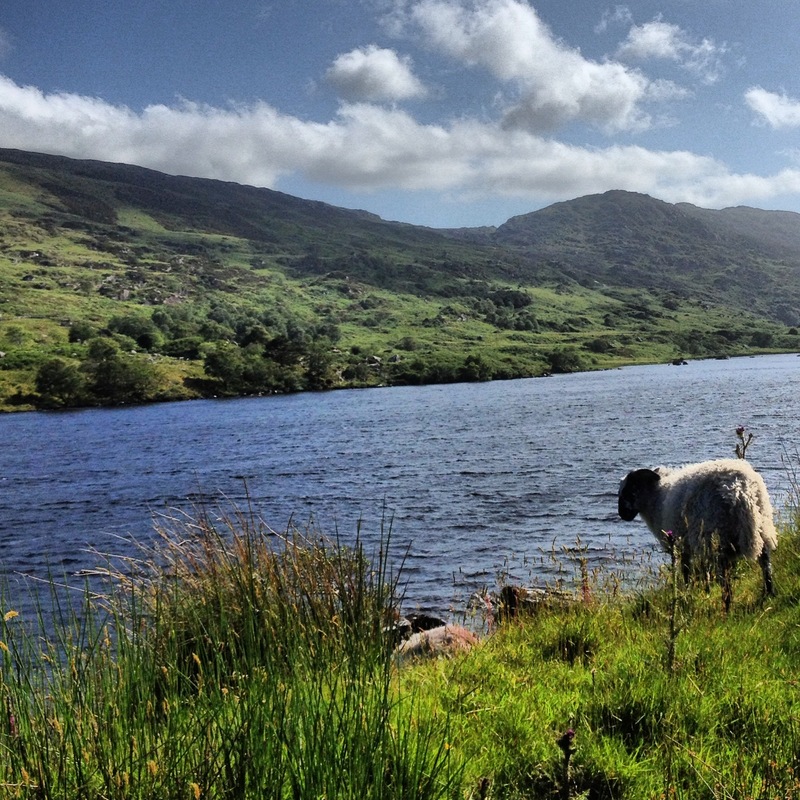 The whole Golden Circle route including driving time will take about 7 to 8 hours. If you have time and energy, add on a visit to the Kerid Crater. Although, not officially part of the Golden Circle route, the crater lake here has a deep shade of blue that is worth a visit. Direct flights to Iceland are available from NYC, Boston, Minneapolis, London, Washington D.C., Oslo, Copenhagen, Frankfurt, Stockholm, and Baltimore. Once in Iceland, you can make the capital city your base and book a Golden Circle tour with a local company, or rent a car. Given the fact that the country is sparsely populated, driving in Iceland is easy (in good weather, of course). However, gas prices and car rental prices tend to be higher. 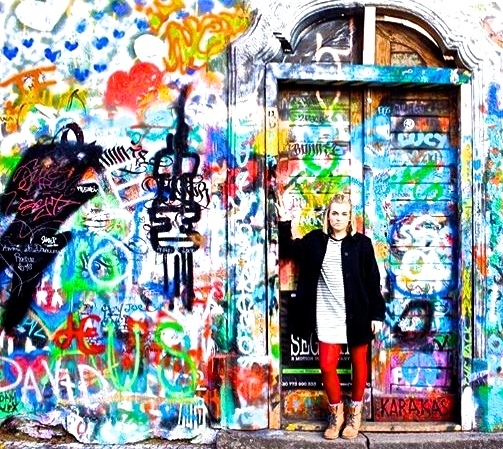 Depending on whether you are traveling alone or with a group, booking a tour may be cheaper than renting a car. Bring plenty of layers and a waterproof or water resistant jacket. Also, remember to pack some rain boots and bring them along even when it’s sunny as the approach to the waterfalls is often muddy. During the summer months Iceland has nearly 24 hours of daylight. Bringing along some over the counter melatonin may help you fall asleep at night. During the winter months your site seeing in Iceland will be affected by limited hours of daylight, so plan accordingly. 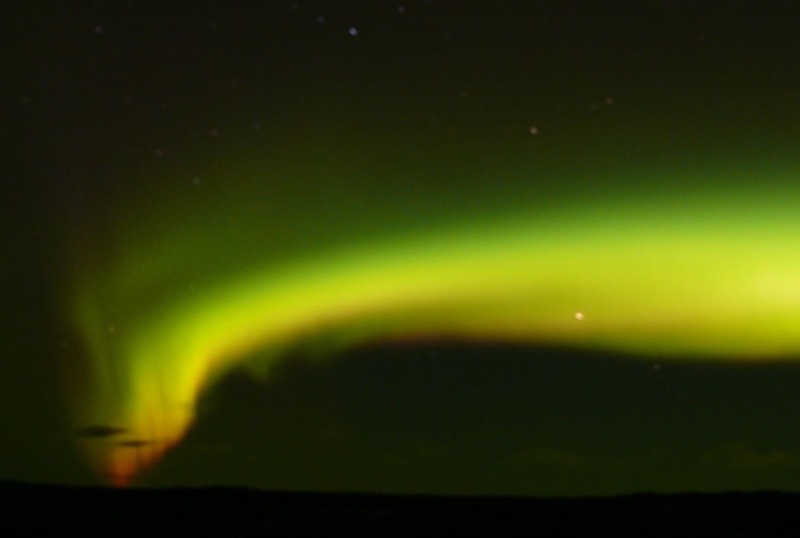 However, a visit in the winter months means a higher chance of seeing the Aurora Borealis or Northern Lights. The tourist season in Iceland runs from late June to August. Hotel and flight prices are at their highest during this time. Visitors will be able to experience nearly 24 hours of daylight, and this is the best time to visit if you plan to drive the Ring Road around the country. By mid September, the temperature and hours of daylight drop significantly. The advantage to visiting in September is that it is cheaper, there is still enough daylight to see many sites, and visitors have a chance to witness the Aurora Borealis. It is, however, significantly colder, and driving the ring road may not be possible if there road closures due to weather conditions. However, the sites on the southern coast can still be accessed easily in the early Fall. 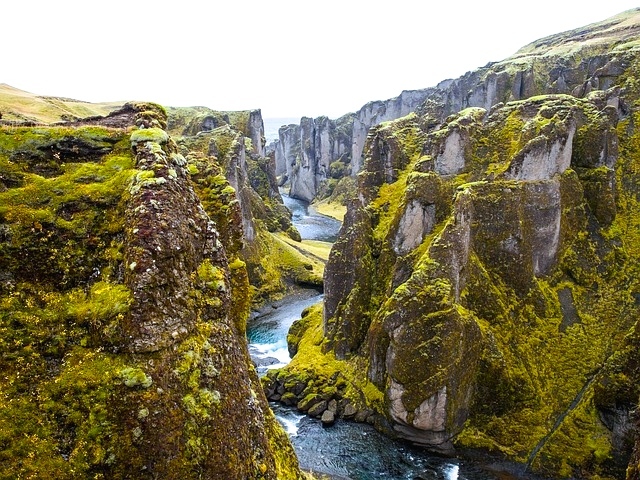 Aside from the Golden Circle, take time to visit Iceland’s southern coast. The southern coast has several breathtaking waterfalls including Skogafoss and Seljalandsfoss. Travel a bit further to Jokulsarlon, Iceland’s glacial lagoon. Be sure to also visit the black sand beaches in the seaside village of Vik. If you have a week in the summer, rent a car and drive the Ring Road along the perimeter of the country to visit all of Iceland’s magnificent scenery. Either on your way to or from the airport, spend a few hours relaxing at the Blue Lagoon, a geothermal spa with water that is rich in minerals and temperatures close to 100 degrees Fahrenheit. 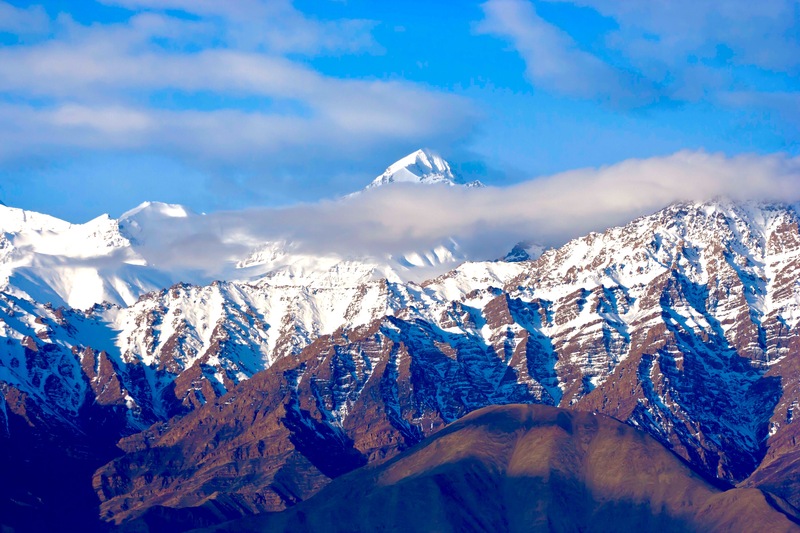 Just beyond the hill-stations of Himachal and Srinagar and just before the inhabitable upper Himalayas lies the sparsely populated region of Ladakh, the ‘Land of the High Passes’. 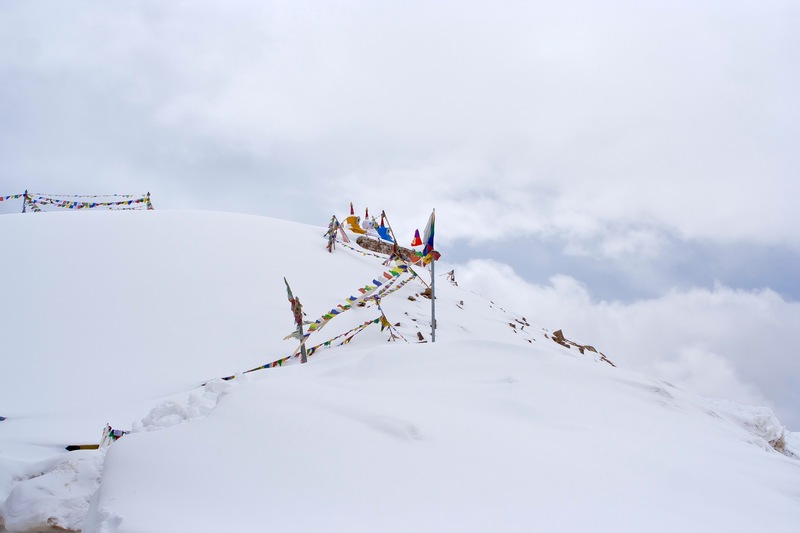 A pocket of Tibetan culture carved into Indian borders, Ladakh is an oasis of valleys thriving amongst a harsh Himalayan ranges that slice through the land. 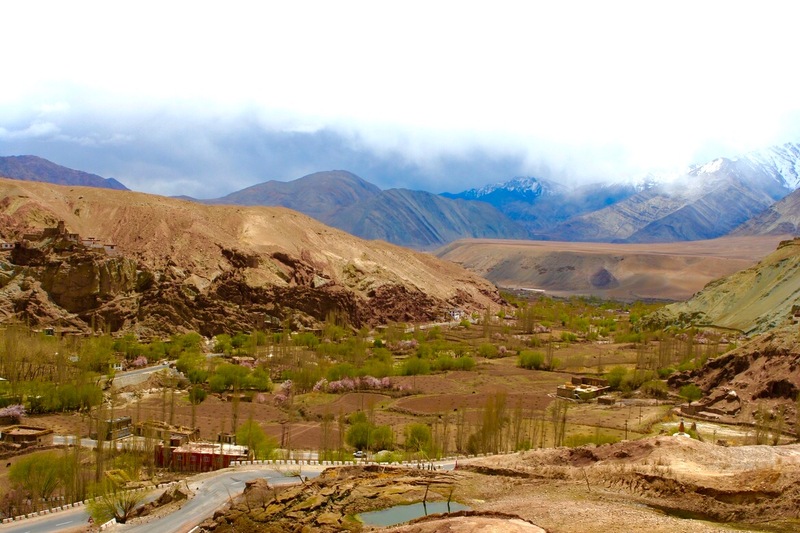 Excursions from Leh, the sleepy, monastery-filled capital, are recommended to the Nubra Valley, a major stop in the ancient Silk Road, and Pangong Lake, a massive clear-blue lake that straddles India and China. 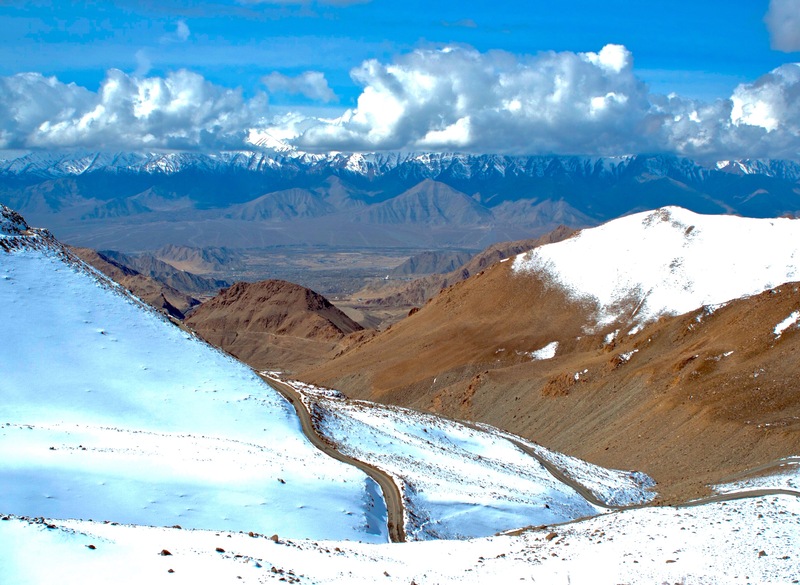 Start the morning drive early and rise out of Leh through one of the highest mountain passes in the world, the Khardung-La Pass, which peaks at a staggering 5602 meters (18,379 feet). 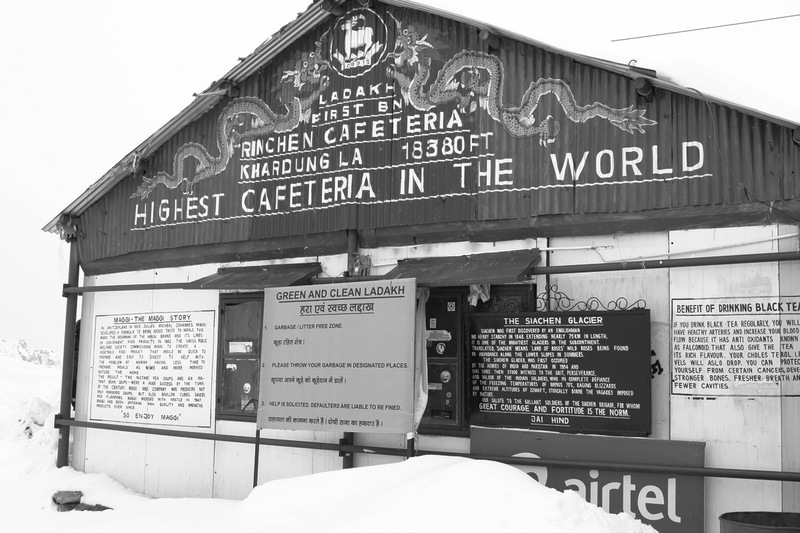 There’s a cheeky chai station at the top reminding you that you’re on top of the world. 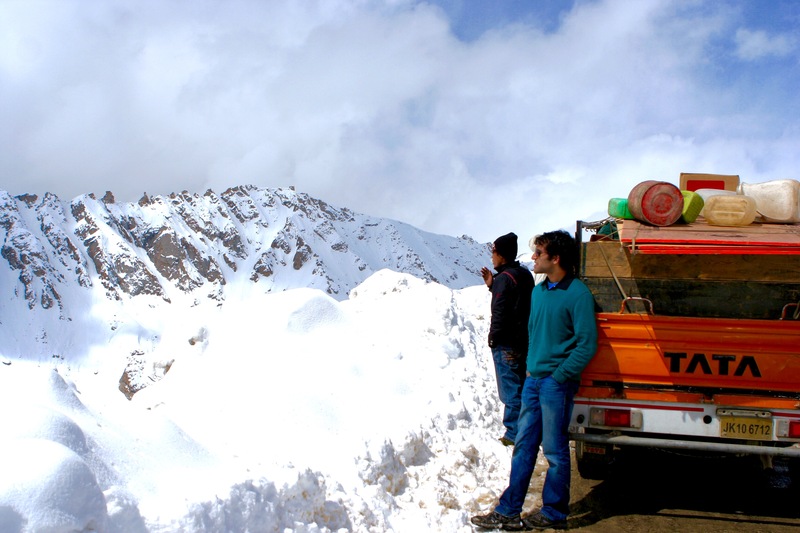 After conquering Khardung-La, your view opens to the sanctuary that is the Nubra Valley. A small pocket of monasteries, homes, and camel farms remain of what once used to be a large trading post between China and India on the Silk Road. In the distance, the Siachen Glacier can be glimpsed where both India and Pakistan maintain forward army posts at inhumane elevations. 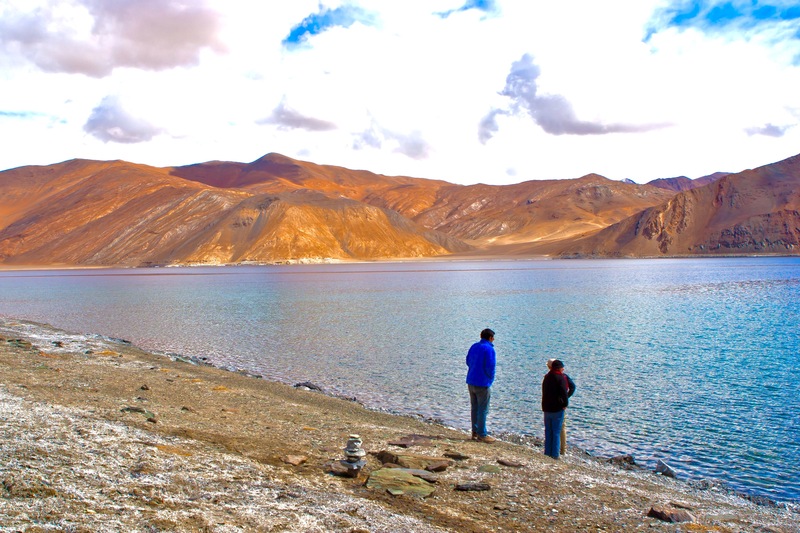 Backtrack to Leh and cross the mighty Chang-La pass and be greeted by the colossal, shimmering-blue Lake Pangong: a saline lake that sits at 4350 meters (14,270 ft), covers 604 square kilometers, and is 134km (83 miles) long. The barren, immense moonscapes of Ladakh have an incredible way of making you feel small. The tourist season is short, from June to September with peak tourism combining with flower blooms in the valleys in late-July, early-August—a truly remarkable sight. We went in late April and combatted avalanches, blizzards, and sub-zero evening temperatures, which surely instructs you to the power of the region but is not recommended. Layers are a must. After a hike to a monastery you want to rip every off, but after sitting in the car passing over 18,000 feet you’re reaching for the earmuffs. We would sleep in multiple sweaters and hibernate in winter coats. Great boots are essential. Gloves, a camera, and a penchant for adventure are all else that you need. Purists would advocate renting a motorcycle and driving the entire long, unpredictable route on Royal Enfield like a Bollywood movie star. However, it’s safer and faster to fly from Delhi to Leh and hire a local driver who will skillfully transport you around the region. Of note, all foreign nationals are required to purchase the Protected Area Permit (600 INR) to enter the Nubra Valley and the Pangong Lake regions. 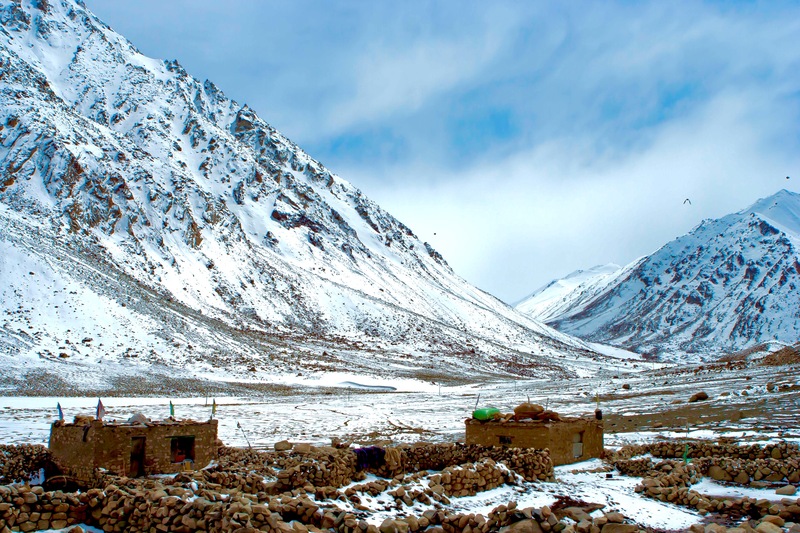 Each town outside of Leh sports a few comfortable and affordable accommodations for you to rest after conquering each successful mountain pass. Do not forget to give yourself time to acclimatize! The day we arrived we felt as if someone had wrung us through a clothes-dryer; we spent a full day lying in bed trying not to move a muscle. Drink water aggressively and use Diamox if you have a history of altitude sickness—acute cerebral or pulmonary edema is serious. 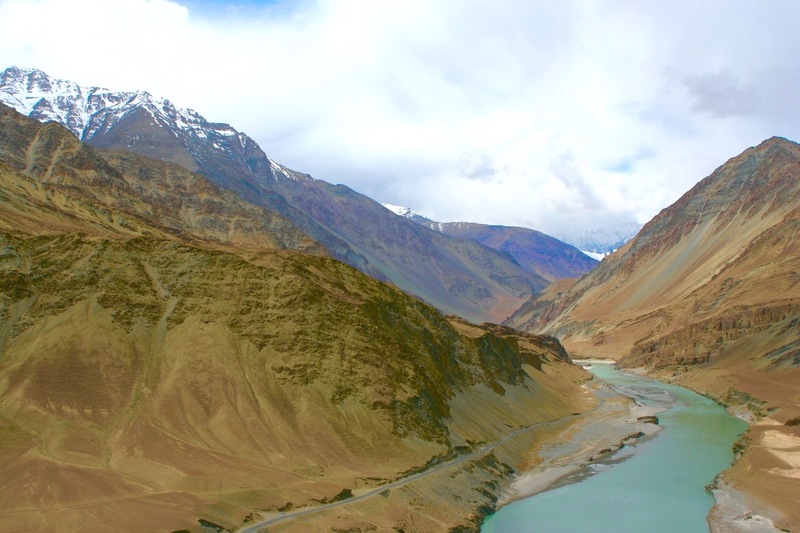 In lighter advise, ask your driver to take you to the roads overlooking the Indus River as it runs through Ladakh. It’s a humbling experience to see the pure water make it’s way towards the coast and contemplate its role in the creation of a civilization. 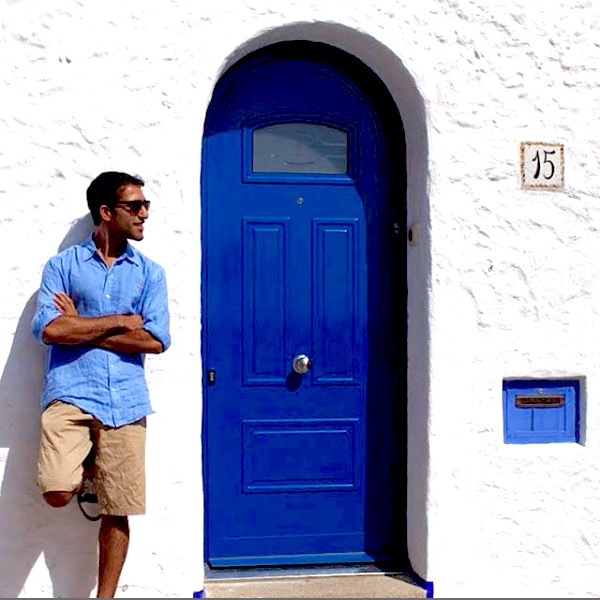 Thanks to Nitish, a doctor, traveler, and writer based in New York City for his travel tips on Ladakh! Joshua tree is famous for its whimsical tree like yuccas that have spiky leaves and are indigenous to the southwestern United States. 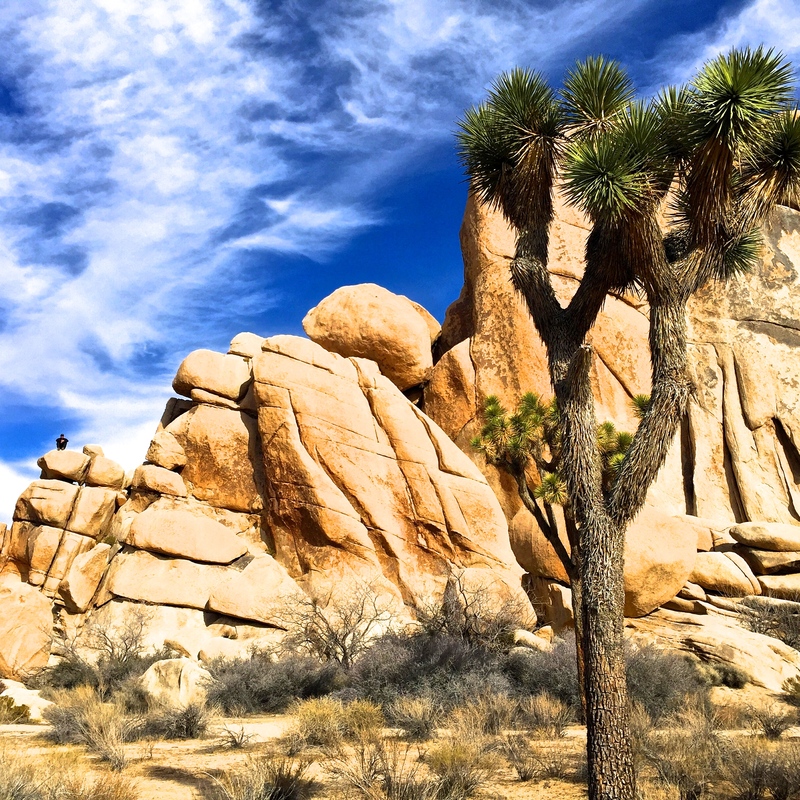 There is no one central attraction in Joshua Tree National Park- it is a vast, wild, and unspoiled desert scene with spiky Joshua trees and big granite boulders for miles. It is also an amazing destination for stargazers. Given the clear desert skies, the sunrises and sunsets are vibrant, and the starry sky looks magical at night. Temperatures for hiking at best in the spring and fall, with an average high/low of 85°F and 50°F (29 and 10°C) respectively. Summer, between May and September, is very hot – 90°F to 100°F degree highs during the day. Travelers can visit in the winter, but bring plenty of layers as the days are cooler -around 60°F (15°C) and temperatures dip below freezing at night. No matter which season, be prepared with lots of water on your hikes. 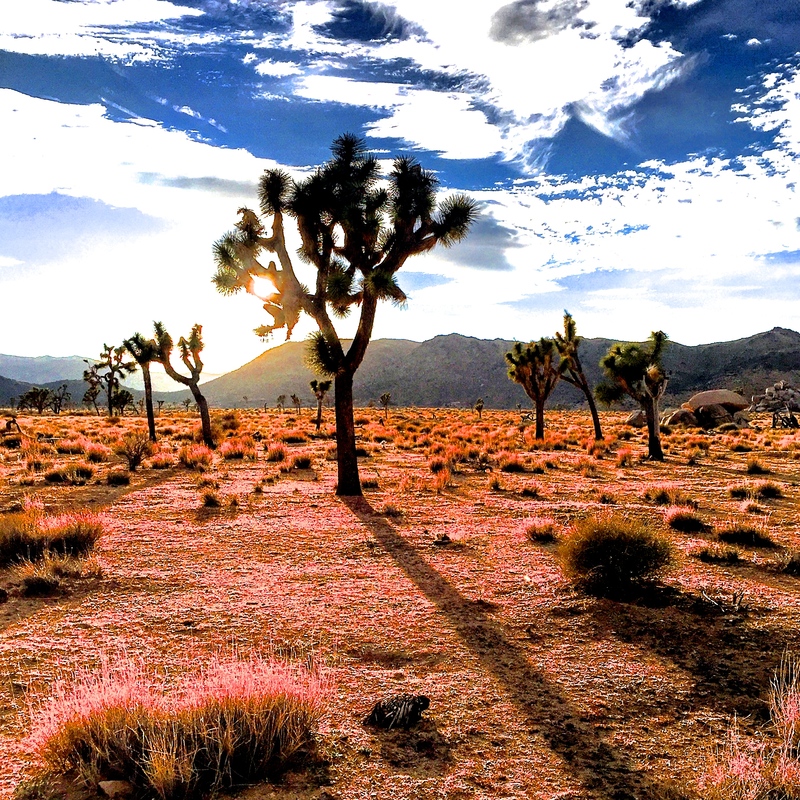 From Los Angeles (Airport code: LAX), Joshua Tree is a 2.5 hour drive. You can camp in the park, but during the winter, stay in a hotel in one of the nearby towns or use Airbnb to rent a refurbished homestead cabin. Although the cabin we rented felt remote, it was only a 10 minute drive from the village of Joshua Tree. There is a small community made up of some great restaurants and mom n pop shops in the village of Joshua Tree. There are no hotels in the actual Joshua Tree National Park but there are places in the nearby village- both home rentals as well as hotels. To enter Joshua Tree National Park, there is a $20 entry fee per car, which is a 7 day permit for non commercial vehicles. To learn more specifics about camping and other park fees, visit the national parks website by clicking here. Bring plenty of water for your hikes, and layered clothing depending on the time of year you are visiting. Keys View is the most popular place to watch the sunset so try to beat the parking rush and get there early! 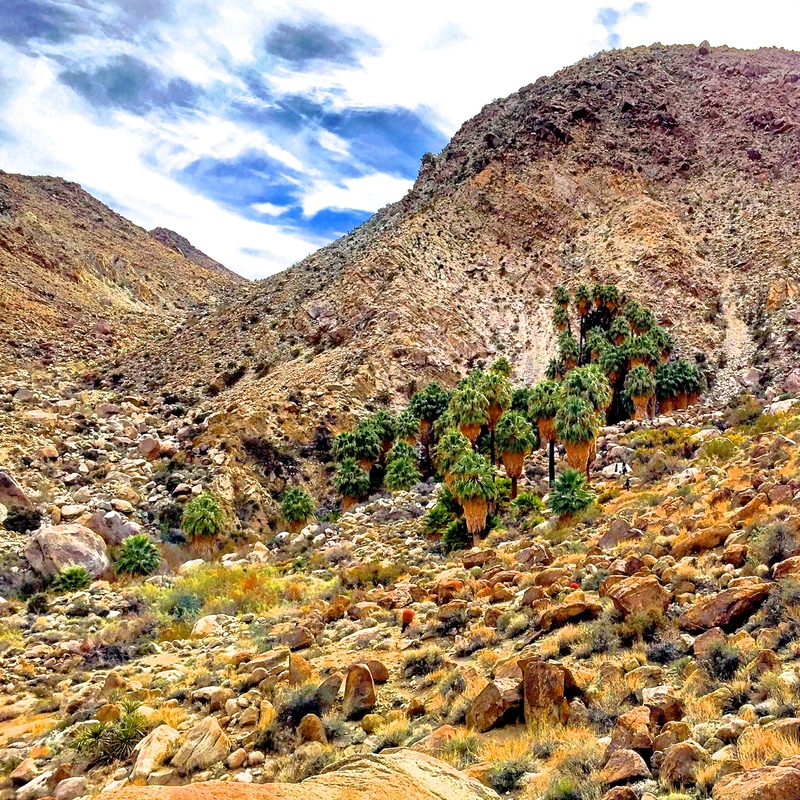 The 49 Palms Canyon Oasis hike is on the periphery of the national park, it has its own entrance, and is without a fee. It is a 4 mile hike with beautiful elevated views of the desert, and it ends at a desert oasis. There are a multiple of short, flat, easy hikes to choose from that take you to dams and rock formations. Some choose to hike different routes to see all the beautiful sites that the park has to offer. Others choose to post up at a campsite and rock climb in a certain area of the park all day. For intermediate hikers, Ryan Mountain is a 1.5 mi hike with a 1070 foot elevation gain. 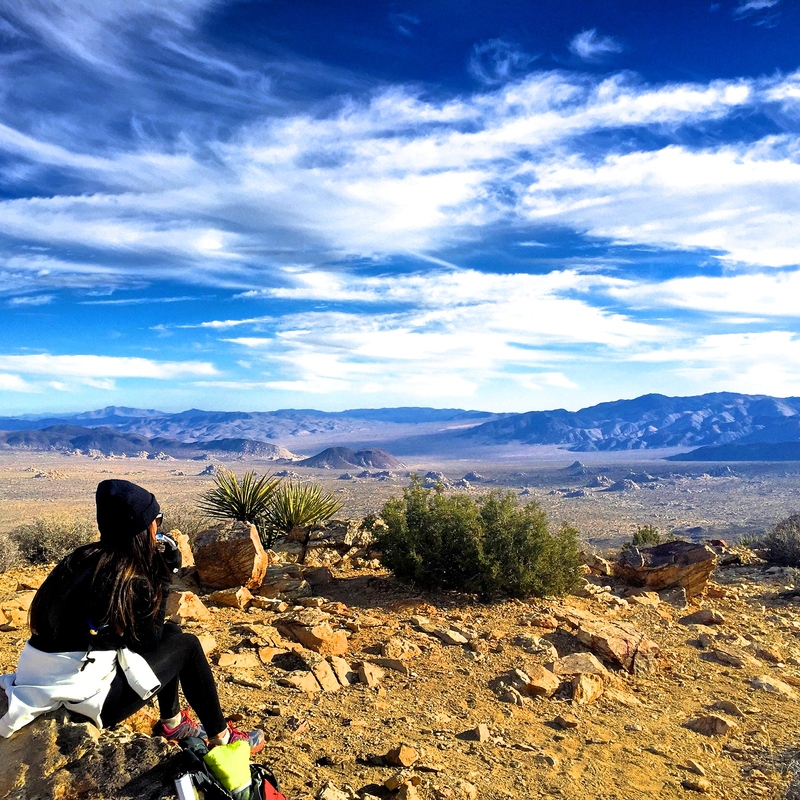 At the very top, you stand 5,456′ above the desert and the views are incredible. Looking down, it almost felt like I was surveying the ground of another planet. 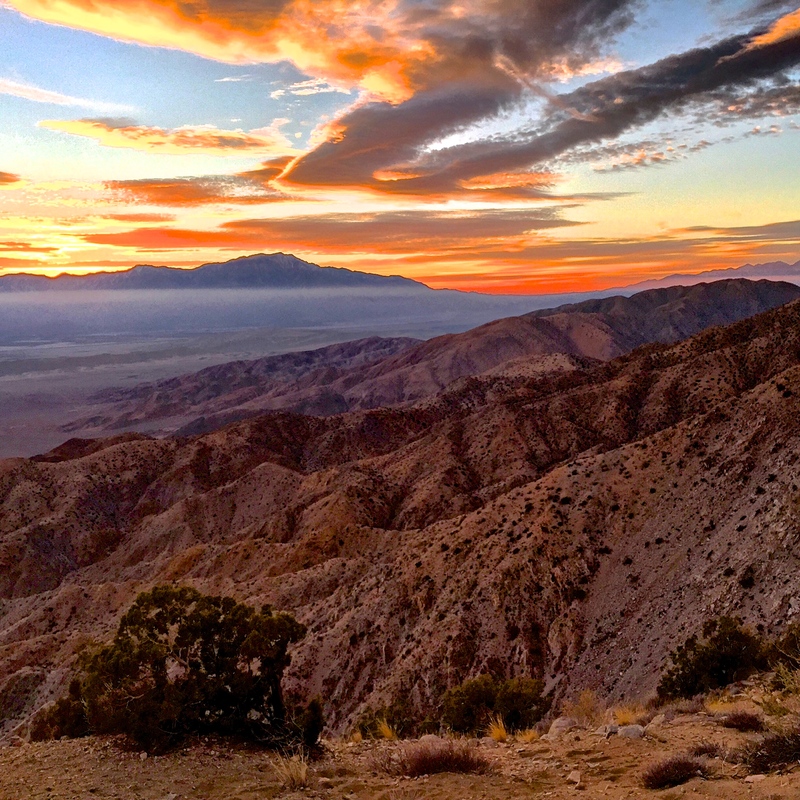 For sunset, visit Keys View because it is the highest point in Joshua Tree that you can drive to. 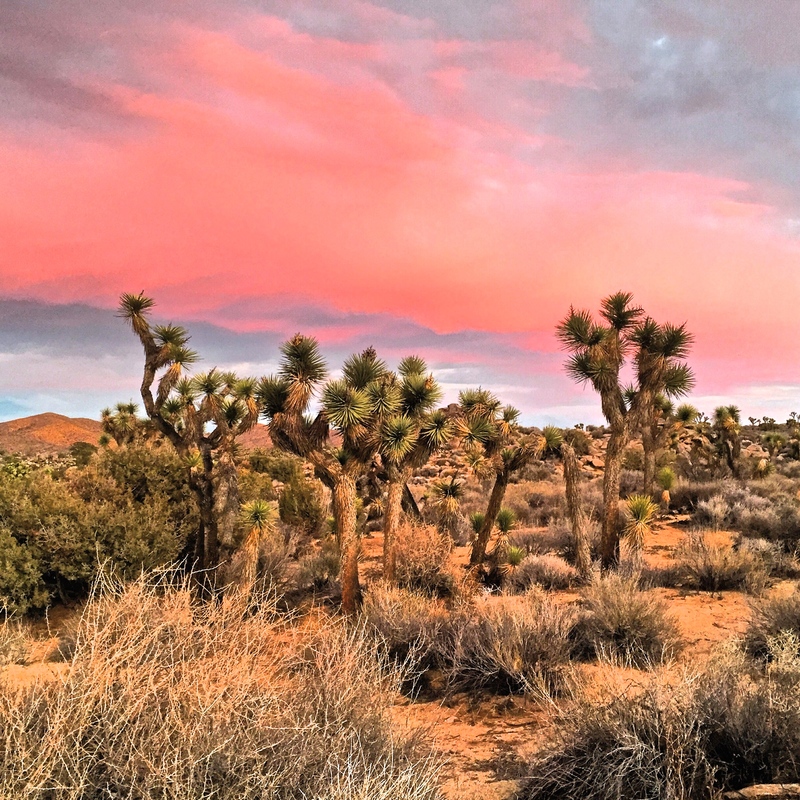 Everyone says that they have a moment in Joshua Tree where they experience a profound sense of self-awareness and appreciation for life. I distinctly remember mine being when I was walking amongst the Joshua trees and the sky burned a pink I had never seen before. For travelers looking to escape it all, there is plenty of time for meditation and reflection while exploring this fantastic desert destination. For nightlife near Joshua Tree – drive up to Pioneertown, a town that started as a live-in Old West motion-picture set in the 1940’s. The crowd is a fun mix of locals, LA visitors, and Joshua Tree campers. Travelers with more time can take a detour to Mecca Valley to walk the Painted Canyon trail (vibrant colors make up these canyons) and also visit Salvation Mountain, which has a massive folk art sculpture near the unique desert town of Slab City. 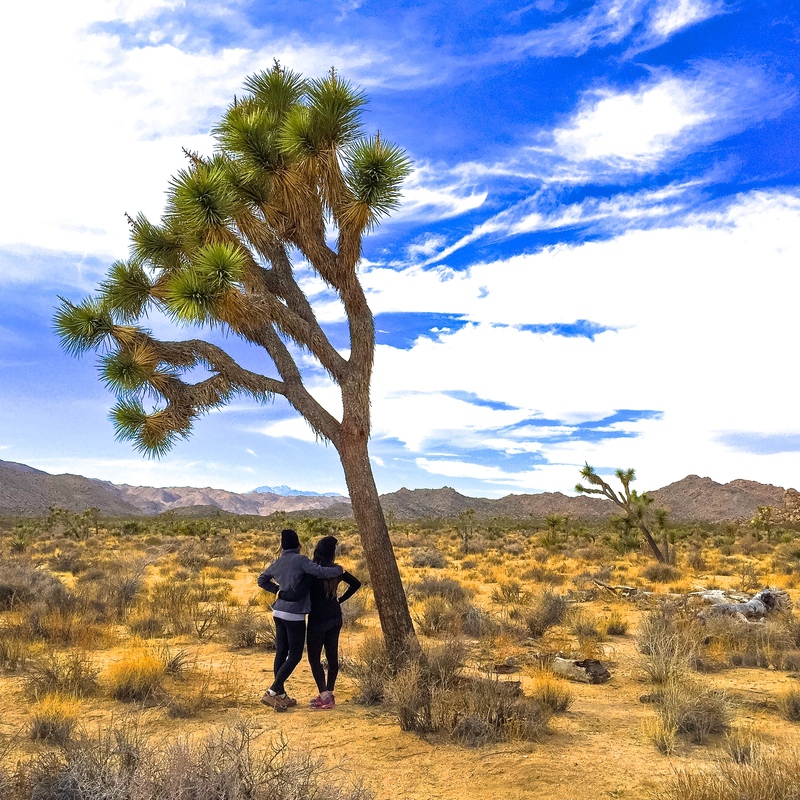 Thanks to Dr. Simi Singh, a physician in New York City, for sharing her travel tips on Joshua Tree National Park! 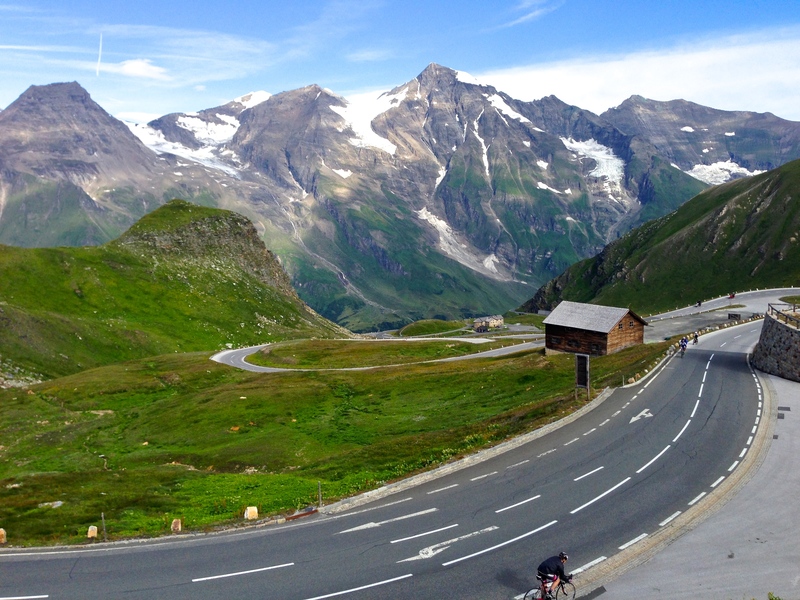 The stunning Grossglockner High Alpine Road is a 29.7 mile (47km) stretch of road offering breathtaking views of the Austrian Alps. The road bridges the two Austrian states of Salzburg and Carinthia. 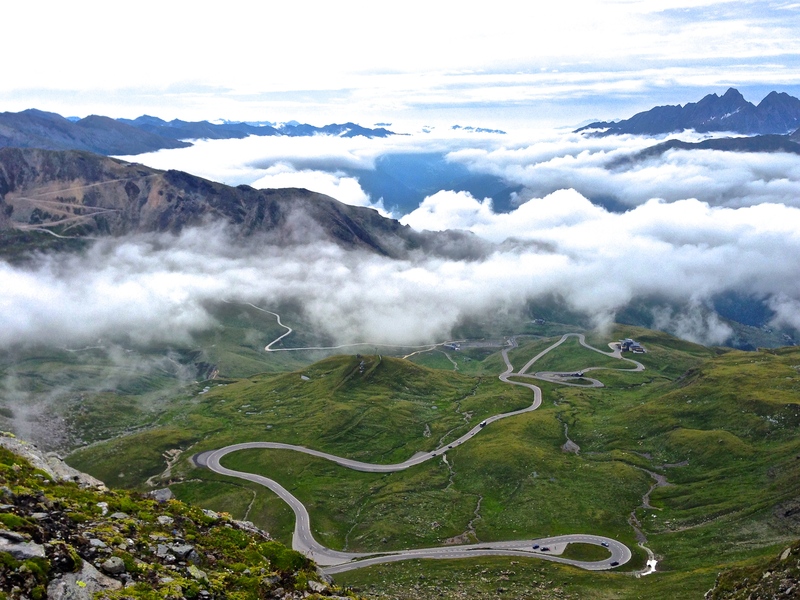 This scenic route is named after Austria’s highest mountain, which stands at 12,461 ft (3,787m). 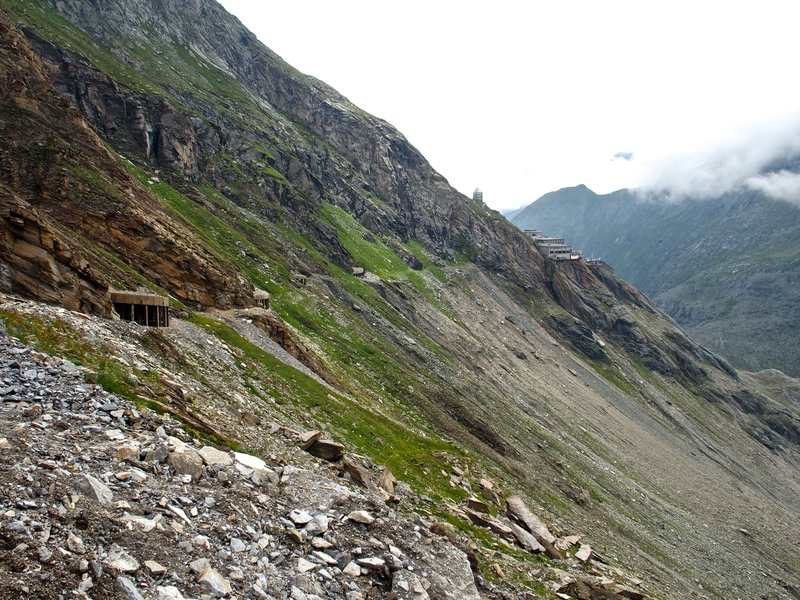 The road is the tallest paved mountain pass in the country, and has been meticulously constructed with a series of mountainside tunnels, switchbacks, and roads built up on stilts. It is s a thrilling drive and / or bike ride, and, fortunately, the road is in excellent condition. The optimal driving route begins at the road’s eastern entrance in Ferleiten, which is about a 1.5 hour drive south of the city of Salzburg. There you will reach the toll house; it costs 35€ per car for a day pass. From Ferleiten, the road heads westward toward the Pasterze glacier that lines the eastern slope of Grossglockner. There are many parking places along the route, most of which you can hike or bike from, and all of which promise breathtaking views of the surrounding Hohe Tauern mountain range. 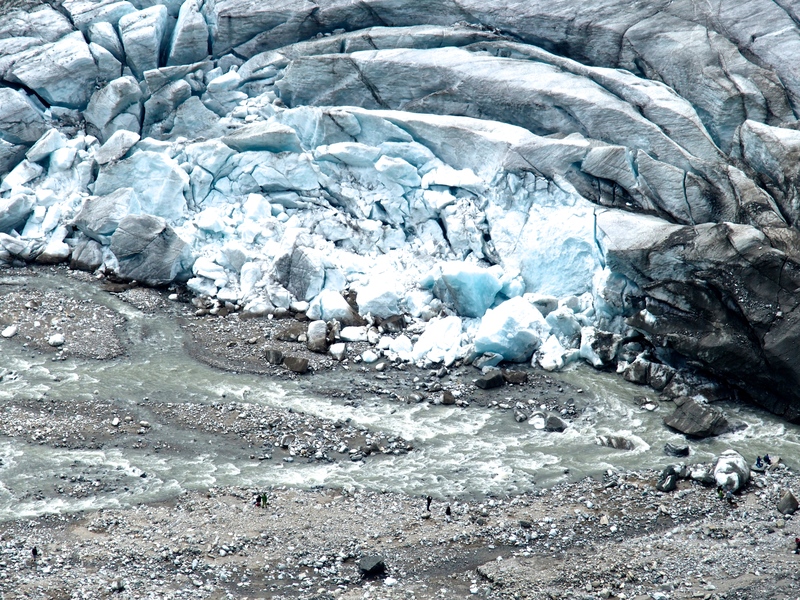 Don’t tire yourself from hiking before you reach the glacier, though. When you reach the end of the road, there is a free parking garage at Kaiser-Franz-Josefs-Höhe, and from there you can choose how you want to take in the sites of the glacier and towering Grossglockner. Hiking, or taking a lift, down to the valley where the glacier lies is a popular option, and the best place to view how dramatically the glacier has receded in recent years. Another great alternative is to hike along the mountain slope to the east of the glacial valley. Continue walking towards the glacier, and you’ll journey through a series of short tunnels, that afterwards open into a mountainside path surrounded by lush greens and tiny, colorful flowers, all while overlooking the Pasterze glacier. Bring proper hiking or walking shoes; if you want to experience the utmost beauty the High Alpine Road has to offer, a good deal of walking is necessary! No matter how warm it is in the valley as you begin, once you start driving up the mountain it gets very chilly and windy, very quickly, so wear a thick jacket. Keep snacks and water handy as well! Due to its high altitude, the High Alpine Road is only open from May to October. In those two months, there is still a chance of encountering snow, so June through August is the best time to visit if you are interested in hiking during your visit. Between June and August, the temperatures in the valleys will range between 75 and 90 Fahrenheit (21-32 C), but as cold as 50 F (10 C) on the highest peaks. The closest major airports are Salzburg (SZG), Munich (MUC) and Vienna (VIE). Non-stop flights to Austria from NYC fly into Vienna. Non stop direct flights are also available into Munich. You will have to either take a connecting flight to Salzburg or a train. Travelers can rent a car in Salzburg, or rent immediately from Munich. 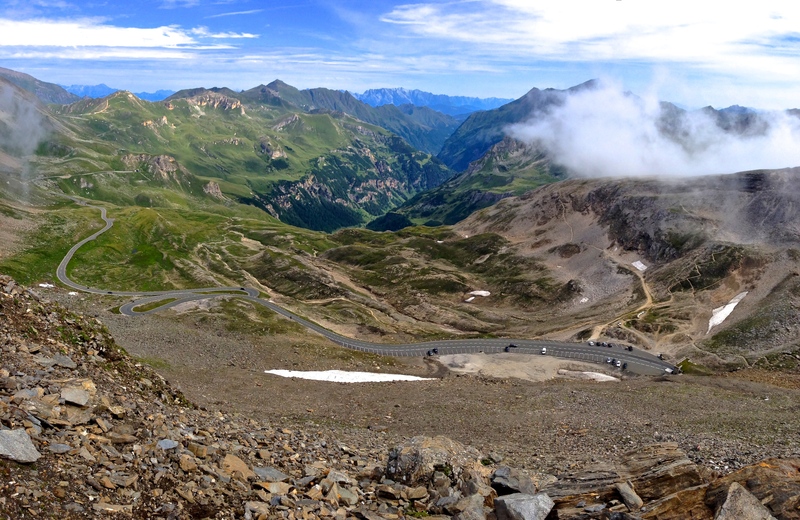 From Salzburg, the Grossglockner High Alpine Road is just under a 2 hour drive. If you plan to explore elsewhere in Austria, flying into Vienna is another viable option, but the drive to the High Alpine Road itself is 4 hours, versus 2.5 hours from Munich and even less from Salzburg. Renting a car is necessary to visit this road, and is best for navigating the Alpine region of Austria. 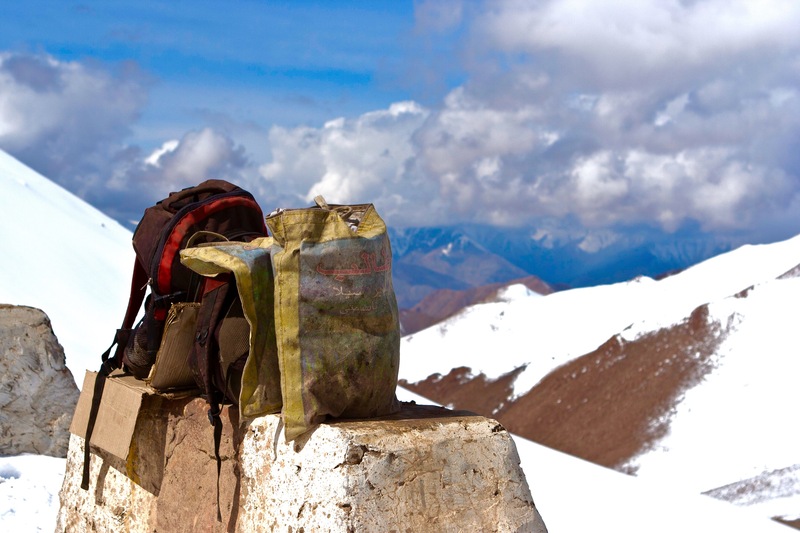 Depending on how much you hike, budget 3-6 hours on the High Alpine Road. There are numerous “hütten” (cabins) and bed and breakfasts in the area to stay in, especially if you want to continue exploring the Hohe Tauern or Dachstein mountain ranges. This area is renowned for its extraordinary hiking, rock climbing, via ferrata, mountain biking, river rafting, camping, and swimming opportunities. The biggest attractions in this area include the Dachstein Krippenstein cable car, sky walk, and ice palace. The nearest cities, Salzburg and Innsbruck, also offer a range of additional outdoor activities and sightseeing. Thanks to Devan for sharing her travels in Austria! Here is a pic of her enjoying some refreshing glacial water during her visit to the Grossglockner High Alpine Road. 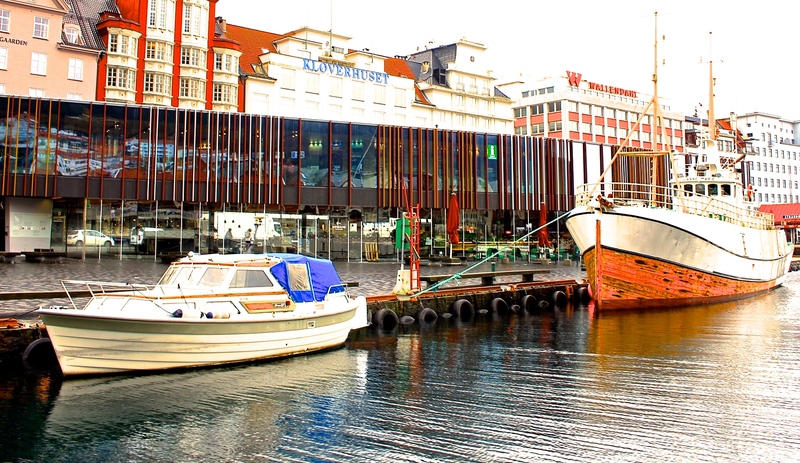 On Norway’s western coast, the charming city of Bergen is often referred to as ‘the gateway to the fjords’. In 1979, the Bryggen Hanseatic Wharf was named a UNESCO World Heritage site because of its rich history as a major Hanseatic trading center. The colorful houses and shops here, against the backdrop of mountains, make Bergen a truly picturesque destination. 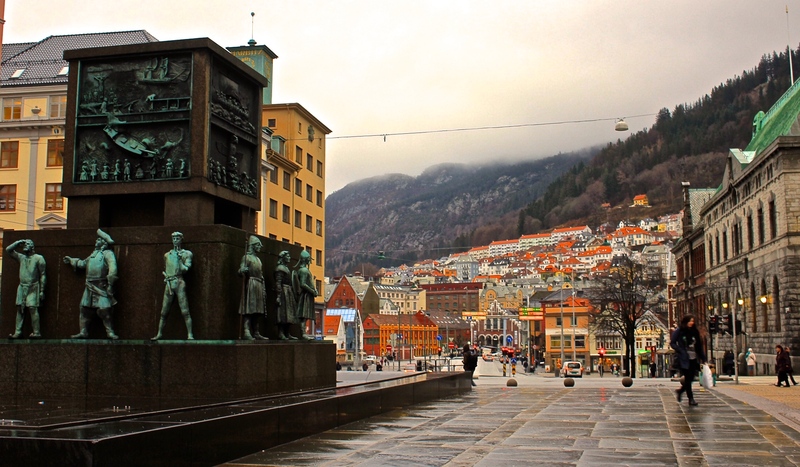 As you wander through Bergen’s cobblestone streets, visitors can enjoy views of the seven surrounding mountains. Bergen is constantly bustling with travelers from all over the world, most whom will visit the wharf as well as the fjords during their stay. Nonstop flights to Bergen, Norway (Airport code: BGO) can be found from Oslo, London, Copenhagen, and Amsterdam. Another popular option is to fly into Norway’s capital, Oslo (Airport code: OSL), and take a scenic 6 hour train ride to Bergen. Norwegian airlines tends to offer cheaper flights to Oslo than SAS airlines. 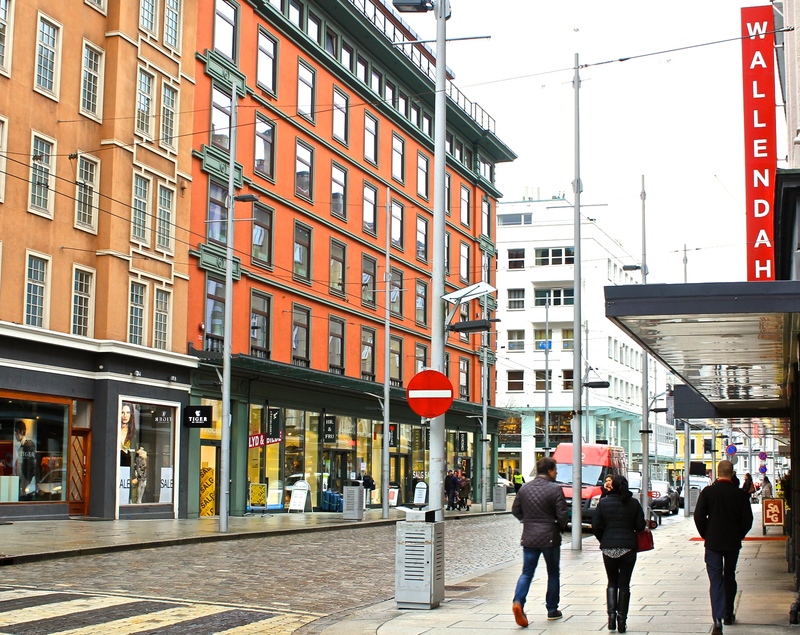 From the airport, travelers can reach downtown Bergen by taxi, rental car, bus and, soon, the tram. The tram system is currently being expanded to reach the airport. Most hotels are located in the heart of the downtown are. If you plan on using public transportation, the cheapest pass available costs about 4 USD and is valid for 90 minutes, or purchase a 7 day pass at 28 USD. The warmest month is July (average temperature of 66F / 19C) and the coldest is January. Fjord boat tours are available all seasons, but a larger variety are offered in the summer. 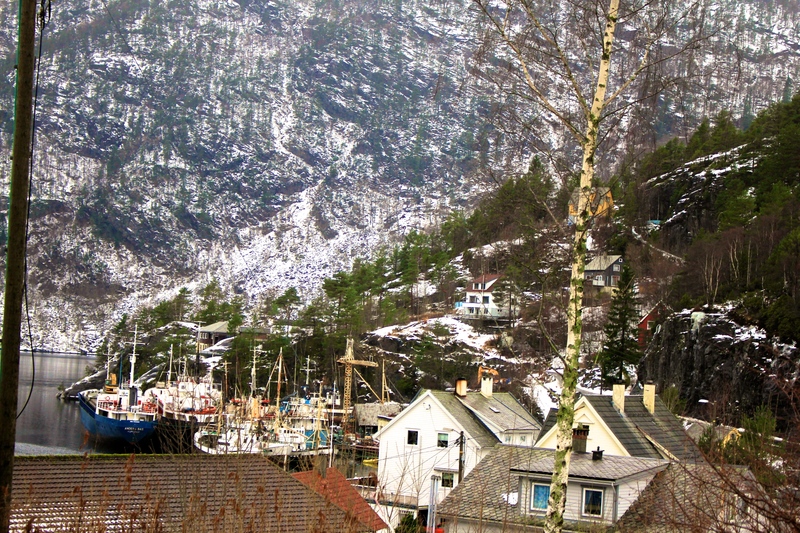 Visiting in the winter is restrictive- with only 7 hours of daylight, visiting the fjords will be a rushed experience. Summer, with nearly 18 hours of daylight, is the most popular time for tourists. 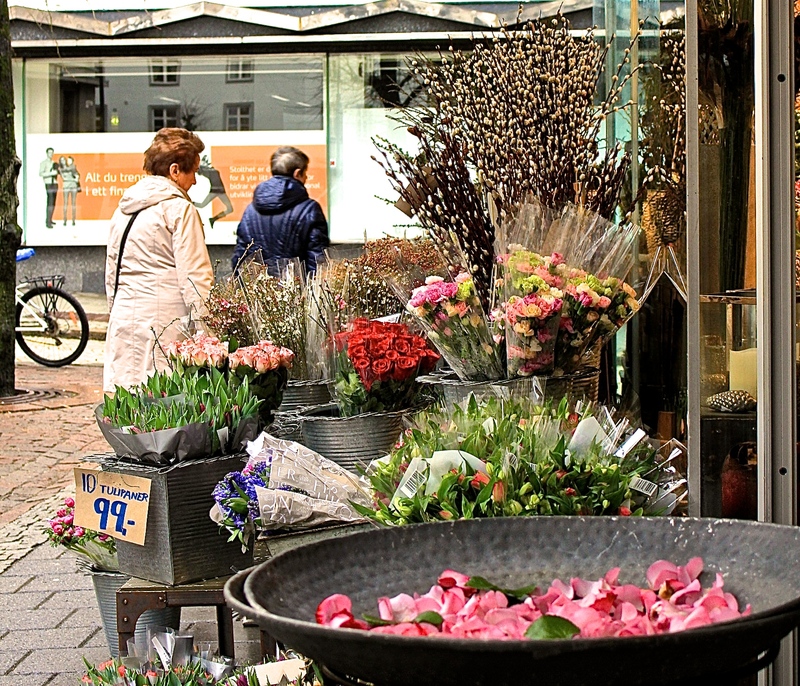 On the 17th of May the country celebrates it’s national day with parades, food markets, and natives dressed in traditional Norwegian garb. The Norwegian fjords should not be missed when visiting Norway. 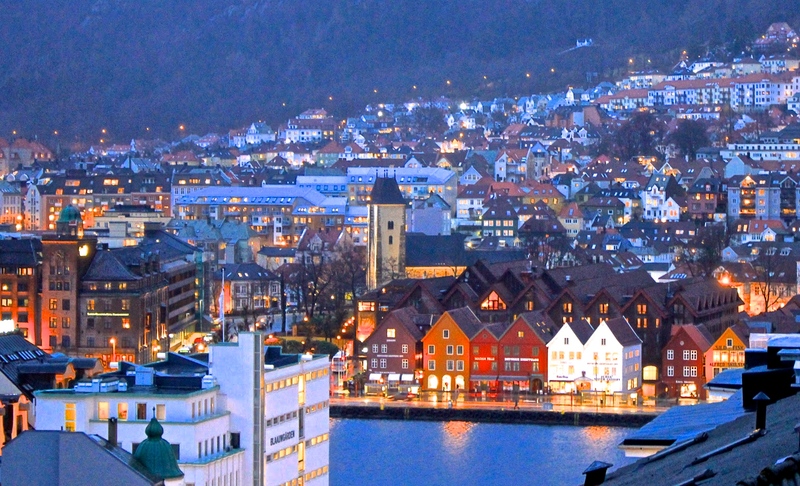 Bergen is often used by tourists as a stopover before and after visiting the scenic fjords. A fjord is a long and narrow inlet of the sea between high cliffs, and the ones in Norway are spectacular. In the summer, which is the most popular time to travel to Norway, do not forget to plan ahead for a boat cruise into the fjords. In Bergen itself, one of the most popular attractions in Bergen is the FlØibanen Funicular. The funicular runs year round and offers sweeping views of the city area. It costs 90Kr for a round trip which is about 10 USD. There are many hiking trails at the peak of FlØyen, a lake, a restaurant and a souvenir shop. Spend time wandering around the many shops and restaurants along the historical wharf and take some pictures of the classic colorful wooden houses. Along the canal is a large outdoor fish markets that sell fresh caught seafood, fruit and vegetables. The weather in Norway is cool and often cold, so bring plenty of layers. If you are counting on alcohol to keep you warm, know that it is expensive when purchased at restaurants. A domestic beer can cost around 9 USD for a pint. ‘Applesin’* means orange in Norwegian. Applesin is extremely popular and is found just about everything-tea, ice cream, syrup, jelly, and candy. If visiting during the summer months, book your boat cruise ahead of time to guarantee availability on your desired date of travel. 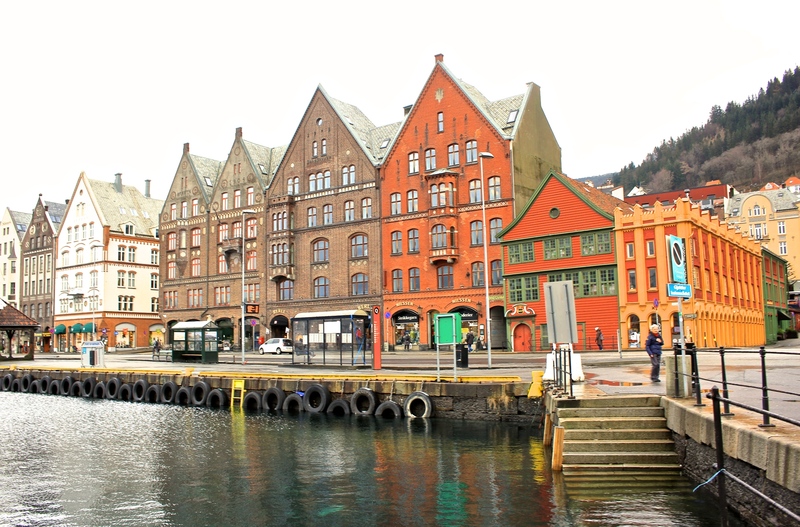 Thanks to travel expert Madelyn for sharing her tips on Bergen!